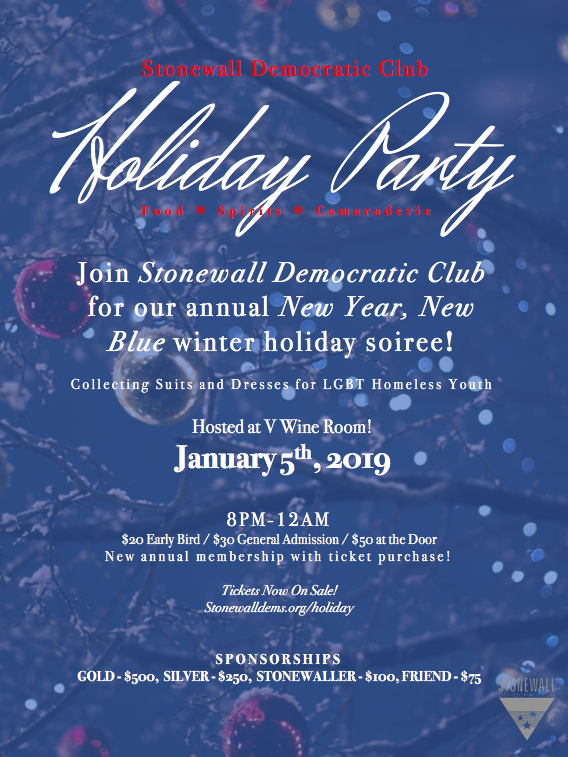 Join Stonewall Democratic Club for our annual "New Year, New Blue" winter holiday soiree, where you can enjoy good food, spirits, and camaraderie. Don't miss out! We'll be collecting suits and dresses for LGBT youth. Please bring any sized professional clothing that you wish to donate and we'll help bring all items to the Youth Center at the Los Angeles LGBT Center!